Let's get Chiggy! The lastest plan uploaded is another Robertus special, the Chiggy. It's a fantasy aircraft with a crazy design that makes the two wings and vertical stab all the same. Putting the prop on the front of the aircraft, in a traditional tractor configuration allows for awesome vertical take-offs. 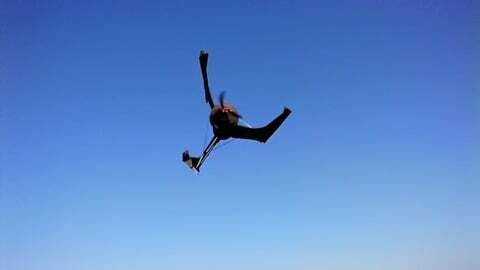 The Chiggy pairs nicely with the Hammerhead, and almost looks like a flying bomb. The heat of the summer is here. This is usually the time of year we see a bit of a drop in traffic and activity, as many builders are out flying and crashing their winter projects. But, we still have a Top 10 List for July and we have some new members of the Top 10 club, a new #1 and more. Let's go! Honestly, this plan was actually submitted almost 11 months ago and got lost in the Parkjet inbox. But when we were going through the mail, we noticed an attachment and did the "facepalm." 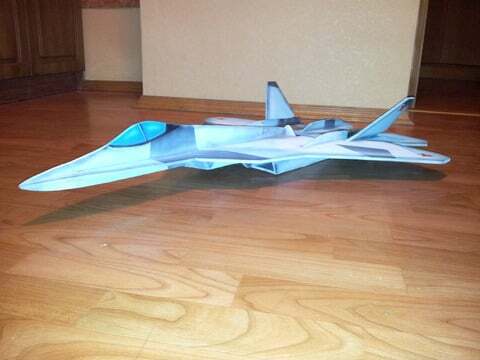 But now the T-50 PAK-FA is all posted in our Free Plans page.